What is a "Meta Implant"? A Meta Implant is a revolutionary custom 3D-printed implant which can be designed to fit any patients bone deficiencies. Gone are the days of bridges, bone grafts, and dentures. 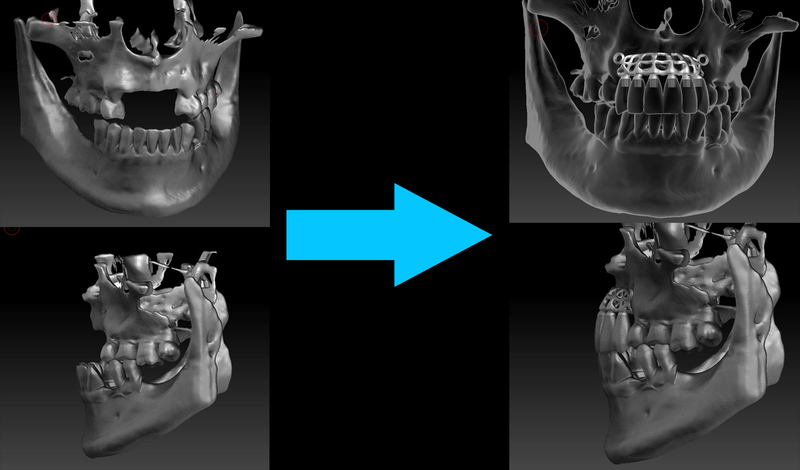 With one surgery it is now possible to restore a patients ability to chew with immediate results. Thanks to the latest advancements in 3D printing and 3D design, we are able to make incredibly strong titanium lattices that are designed to last a life-time. Our implants are designed to fit any bone deficiency for any patient. There is no need to extract teeth. Meta Implant is designed to replace bone deficiency around all existing teeth. Returning bone loss to the face and saving healthy teeth has superior aesthetic results in comparison to conventional implant technology. Since there is no need for multiple surgeries, a patient will begin the healing process immediately after their visit. Meta Implant is comparable in price to conventional implants, but offer greater aesthetic results, healing, and customization. 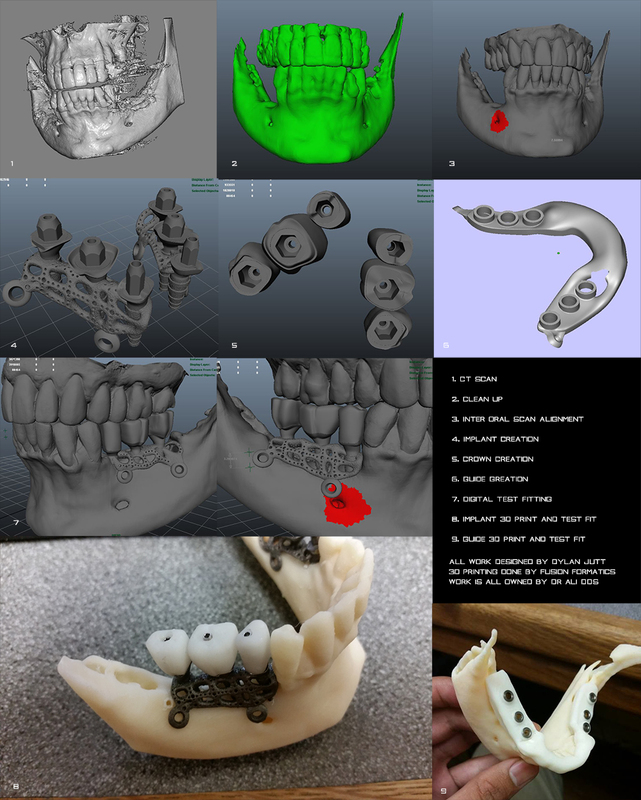 An overview of the implant design process. If you are a doctor, you will need to request a profile. If you are a patient in need of a Meta Implant.